When will be FullMetal Alchemist (US) next episode air date? Is FullMetal Alchemist (US) renewed or cancelled? Where to countdown FullMetal Alchemist (US) air dates? Is FullMetal Alchemist (US) worth watching? Ed and Al have been skilled alchemists since they were kids. After their mother's death they set out to find a way to bring her back. When the time came, their skills weren't enough to cheat death. Ed lost his leg and arm, and Al lost his body. Now his soul is bonded to a suit of metal. Now they are seeking a Philosopher's Stone to set things right. Now they live by the philosophy that Humankind cannot gain anything without first giving something in return. To obtain, something of equal value must be lost. 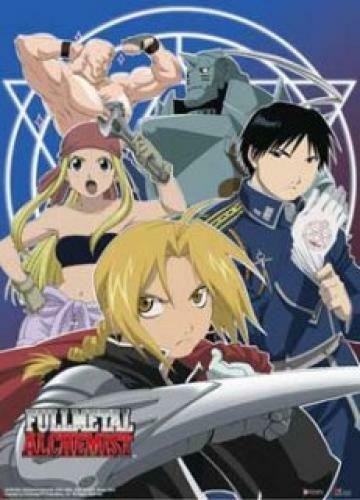 EpisoDate.com is your TV show guide to Countdown FullMetal Alchemist (US) Episode Air Dates and to stay in touch with FullMetal Alchemist (US) next episode Air Date and your others favorite TV Shows. Add the shows you like to a "Watchlist" and let the site take it from there.